Mulki, Oct 09, 2016: Decomposed body of unidentified man recovered at Aikala in Mulki on October 09 Sunday. 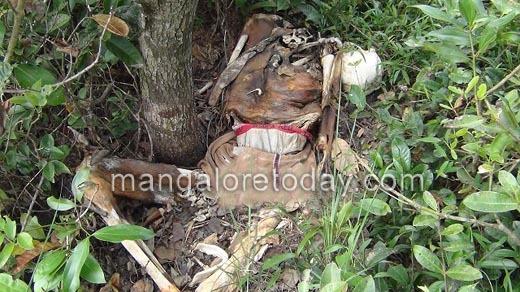 The locals residents who had been this hilly area to collect firewood found the body lying under the tree. On information Mulki police reached the spot. It is suspected that the man might have committed suicide, as his clothes were seen hanging on the tree. The identity of man is not traced yet. Most of the time depression make the people take such decision? But its strange that no body had found the body so far?